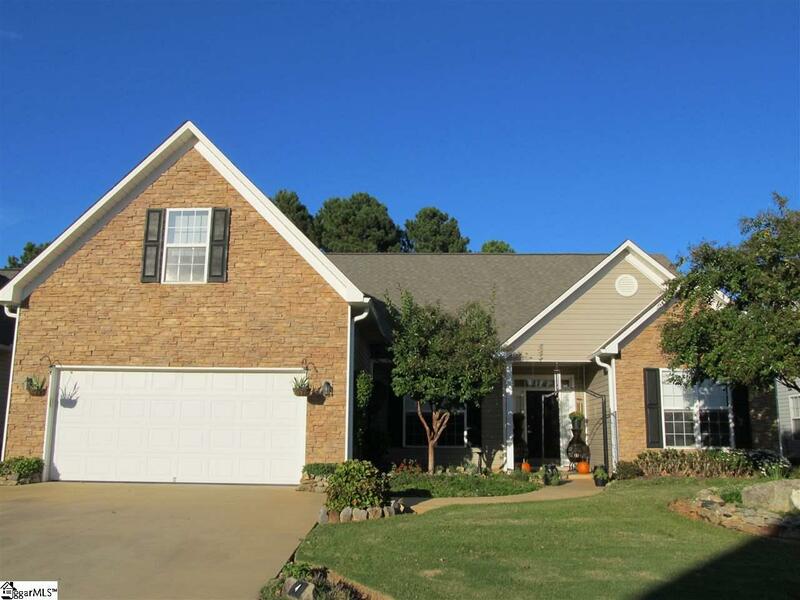 Absolutely gorgeous, 3BR, 2BA home in Shadow Moss subdivision. This immaculately maintained home has all the extras and shows like a gem. Gorgeous hardwood flooring, open floor plan that is great for entertaining. Great room with gas log fireplace, elegant dining room, kitchen has upgraded cabinetry, marble countertops and backsplash, ceramic tile flooring and SS appliances including refrigerator. Huge master bedroom with master bath that has dual sinks, garden tub, large shower and roomy closet that can also double as a dressing room. Other bedrooms are nice size and have hardwood flooring. Large bonus room that can actually be a fourth bedroom. Yard is nicely landscaped with a cozy patio in the back. A home of this quality won't last long. Don't let this one get away...Make you appointment today! Listing provided courtesy of Melissa Boyd of Century 21 Blackwell & Co. Rea.